Wale Tinubu, the Group Chief Executive Officer of Oando PLC, the leading indigenous energy player in Nigeria, appeared before the Senate Joint Committee on Petroleum Resources, to correct allegations regarding Oando’s supposed role in the privatisation of the Port Harcourt refinery. “As indicated in the rejoinder statement we published, I must explicitly state that no mandate for the concession, sale, equity transfer or privatization of the Port Harcourt refinery or any of the nation’s refineries has been signed with Oando. As a crude exporter and supplier of refined products to the country, it is intuitive and patriotic for us to be interested in the refurbishment and upgrade of the refineries. Nigeria’s refineries have continued to lie in a perpetual state of disrepair and encounter capacity utilization challenges due to sporadic crude supply, lack of funding, challenged maintenance execution, and bureaucracy. The Senate initiated a hearing following misleading reports which indicated that the Port Harcourt refinery was due to be sold via a privatization or concession exercise with Oando and Eni as the preferred consortium. Initial findings from the Upper Legislative Chamber show that the NNPC is still at a preliminary stage of information gathering regarding the proposed refurbishment and highlights Aniebor Kragha’s, the NNPC’s Chief Operating Officer, Refineries, indication that President Muhammadu Buhari’s directive has always been a non-privatization of the country’s refineries. However, President Buhari has always supported the potential engagement of strategic investors with refining experience and funding capacity to partner with local players who understand Nigeria’s downstream oil market to revamp the refineries. In a bid to strengthen international relations, ENI (an Italian oil and gas company), committed to support the rehabilitation of the country’s refineries, specifically the Port Harcourt refinery in which it has a long history of technical involvement. Earlier this year, the Minister of State for Petroleum Resources and Chairman of the Board of the NNPC, Dr. Emmanuel Ibe Kachikwu met with ENI CEO, Claudio Descalzi, to discuss further cooperation between ENI and the Nigerian government within the energy sector. The NNPC and ENI, through its local subsidiaries, Nigerian Agip Oil Company (NAOC) and Nigerian Agip Exploration (NAE), signed a Memorandum of Understanding (MoU) to promote new activities which would significantly boost Nigeria’s social and economic development. In the upstream sector, oil and gas production operations would increase with an increased focus on development and exploration activities in the onshore, offshore and Ultra Deep Water operated areas. The parties also agreed to explore a potential collaboration on refined product security via technical services for the rehabilitation and enhancement of Port Harcourt refinery, while power generation and access to energy would be further enhanced by doubling the power generation capacity in Okpai IPP through the fast track development of its Phase II, making it one of the largest combined cycle power plants in Africa. The MoU also set the basis for the assessment of the electricity national grid reliability alongside efficient renewable energy projects, to secure energy accessibility in Nigeria’s most remote areas. 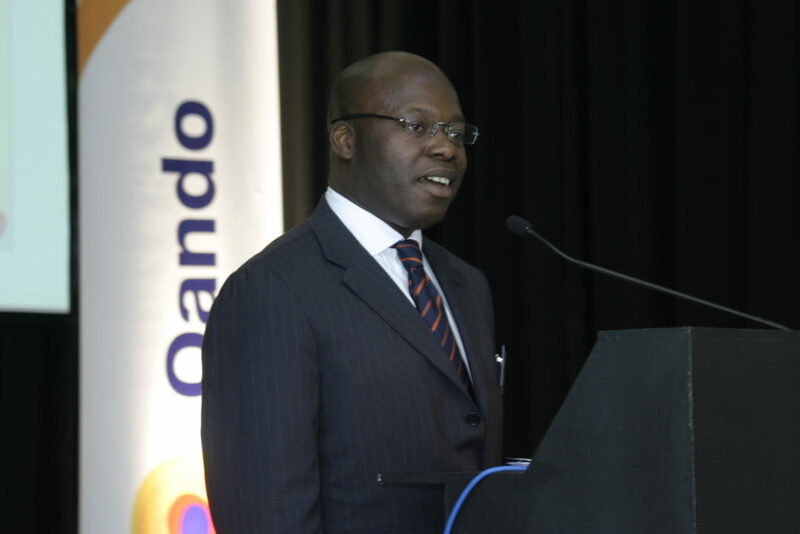 ENI/NAOC’s decision to partner with Oando to explore technical and funding options to support the government’s refinery rehabilitation efforts is understandable taking into consideration the long standing working relationship going as far back as 2002 when Oando acquired acquired ENI's downstream business in Nigeria (Agip Nigeria Plc) and more recently via upstream and DSDP Joint Venture (JV) contracts. With the refinery privatization scheme proven untrue, the Senate has been widely applauded for its oversight of the NNPC, reinforcing the long-running mandate of the Buhari administration regarding transparency and accountability by all arms of Government and within the private sector. The hearing is also testament to the Federal Government’s efforts to implement pertinent and active reforms to develop a more stable and enabling oil and gas landscape within the Downstream sector to tackle capital flight, negatively impacting jobs, infrastructure growth, public service provision, and ultimately the country’s GDP. “We acknowledge that Oando was quoted out of context and we hope that they understand that this committee was set up as a matter of oversight and in the interest of Nigerians because we represent Nigerians. When the time comes, we will instruct the NNPC to carry out this rehabilitation process in the most transparent manner. 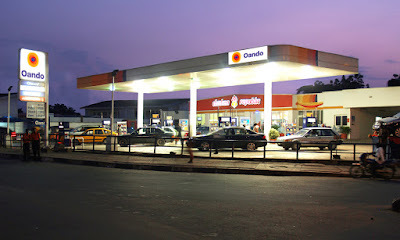 We advise Oando as a responsible company and good corporate citizen to guard its future statements in public, but applaud the fact that the minute they were misquoted by the media, they put out a statement to correct the facts,” said Senator Kabir Garba Marfa, the Chairman of the Joint Committee. The crude processing nameplate capacity for the nation’s refineries stands at Port Harcourt - 210,000 bpd, Kaduna - 110,000bpd, and Warri - 125,000 bpd. However, all three refineries supply a fraction circa 19% (2,009kt) of the nation’s Premium Motor Spirit (PMS) requirement (10,800kt) on an annual basis. This equates to an import burden on the Federal Government in excess of $7bn annually and annual export refining margins of ~$768m. A long-winded privatization exercise under the auspices of the Bureau of Private Enterprises (BPE) was held from 2003-2007 for the Port Harcourt refinery with Blue Star Oil Services Limited emerging the preferred bidder with a successful bid of $561 million. Almost immediately Blue Star opted out of the investment, and was fully refunded by the Nigerian Government. The premise for refinery privatization was subsequently shelved. In light of the current financial and technical deficiencies of the NNPC and avid interest from private companies to spur the sector, the current administration publicly called on private partners, local and international, to support the reformation program and get the refineries back up and running to full capacity. This reinforced a commitment made by President Buhari and Kragha in March 2017 proposing a new approach to the rehabilitation of the refineries via private-public partnerships (PPPs). Via its midstream vehicle, Oando Gas & Power, Oando has often taken up the mantle of supporting the government in economic advancement through PPPs. Its first mover role in the gas sector has seen the development of almost 300km of pipeline infrastructure in the South-West and South-East regions of the country, providing innovative energy solutions to key industrial hubs and over 23 million people. ENI/NAOC has substantial expertise and local knowledge as a refiner of international standing, and has successfully built and run five refineries in Italy and Germany. The company built the the Sannazzaro refinery, similar in complexity to PHC refinery with a capacity of 200kbbl/d, and owns the proprietary technology that delivers Europe’s most efficient refinery. Eni also produces 4 million boepd, a stark contrast to Nigeria’s estimated 2 million boepd. “As a company, we have always consistently worked together with the Government in creating solutions for the oil and gas industry and the country at large. We are not new to working hand-in-hand with the Government in creating infrastructure to be able to utilise a common carrier for the entire industry to benefit from. What has been agreed upon at this stage is the opportunity to try and establish a framework for the rehabilitation of Port Harcourt refinery, which will then go through appropriate regulatory approvals, where necessary,” Tinubu said.